Click here to read part 1! Hope is not an accident. Sometimes it has to be hunted, and hunting it takes courage. Hope hunters know how to excavate hope from hardship. There is dirt underneath their fingernails and sweat on their shirts. They rake through the rubble of an unwanted situation, digging into difficult circumstances because they have come to expect that adversity will produce good. They believe that light always triumphs over darkness. They have learned to walk through winter with their eyes on spring. 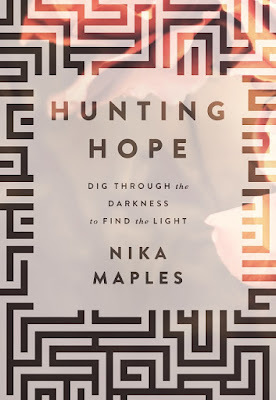 Nika Maples, the author of Hunting Hope: Dig Through the Darkness to Find the Light (Worthy Inspired), became a hope hunter after suffering a massive brainstem stroke that left her quadriplegic in her twenties. Doctors warned that she had as little as 48 hours to live, and-if she lived at all-she would never walk or talk again. There was no hope on the horizon. So Nika started to hunt for it. Today, she not only walks, but she speaks to audiences everywhere about the power of hunting hope when a situation appears hopeless. She says hope remains camouflaged in the daily mundane. If we are not looking for it, we will miss it, though it is right before our eyes. 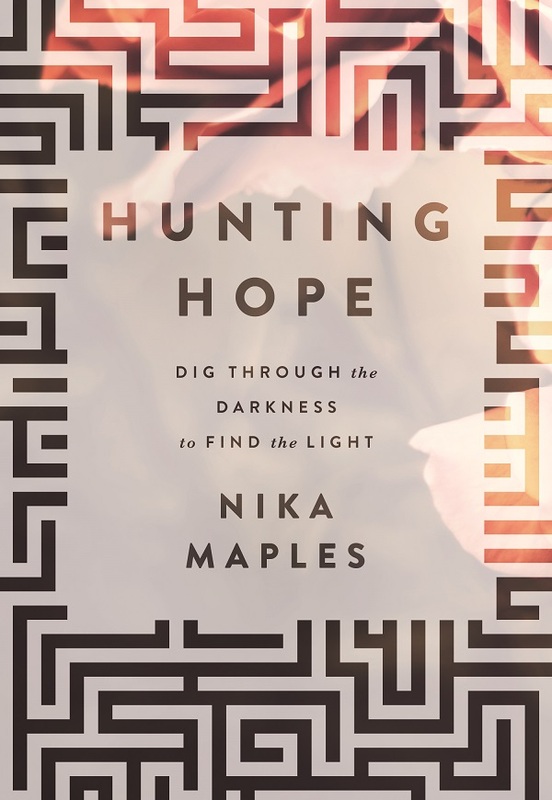 Maples uses real life examples and biblical insight to show readers how to become a hope hunter by seeking God when they feel surrounded by darkness. 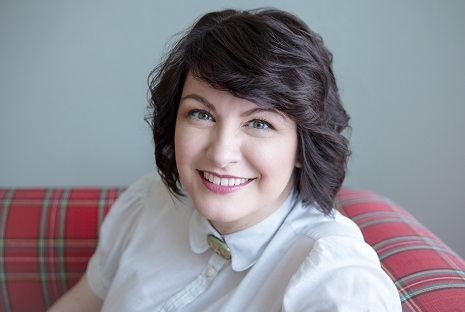 She presents 20 truths about God's character and 5 daily disciplines that will develop your character in crisis. Q: It’s difficult to grasp that God allows — or maybe even causes — hard times in our life to accomplish His purposes. Why is this not inconsistent with His character? First, let me clarify: Just because God allows something to happen doesn’t mean He endorses it. Many times, He permits circumstances He hates, things that hurt Him to witness. If He is omniscient, then He knew about your catastrophe before it hit, and if He is omnipotent, then He had to have allowed it to happen. The key to making peace with this idea is trusting His character. Faithfulness is His character. It is that simple. Sure, I could go on and on about Him based on my experiences. He has been better to me than my words could ever tell. But His character is not defined by our experience. The book of Revelation says His name is Faithful and True. That’s who He is. And because He is faithful and true, He is able to bring good from anything, from anything, from anything. If we could see or imagine that good right now, we wouldn’t need God, we would be God. We don’t have to try to see or imagine the good when we are in pain. That’s not our job. We can just let God bring it about. Q: During hard times, why do fear and anxiety find God’s people so easily? God has an enemy who wants to discredit anything He has ever said. Satan will send fear and anxiety to our doorsteps, like terrible houseguests. The only way to combat fear and anxiety is to get to work, reorienting our thoughts around what God says instead of what we say or what the enemy says. Our perspective will change when we expose ourselves to the truth in the Word. Q: How much does the fear of suffering have to do with control? Questions about suffering are questions about sover­eignty. We want to be the ones in control, the ones who decide what can be used for good in our lives. Either God is in control, or He isn’t. If God is in control, then what we know about God is more important than what we know about our circumstances. For now, that may not lessen the ache, but we can rest inasmuch as we are willing to rely on Him. That is how we hunt for hope. Jesus is hope. And if we let Him, He will always lead us to Himself. Q: You say it doesn’t matter what causes suffering in one’s life nearly as much as what suffering causes in one’s life. Explain what you mean. It certainly matters what causes suffering in our lives. But that may be a distracting question that takes our eyes off a more important question. What may matter more is what suffering causes in our lives. If adversity brings about bitterness, fury and disbelief in the Lord, then it will be a loss. But if it brings about humility, patience and dependence upon the Lord, then it will be for His glory. Q: Who is your favorite biblical example of a hope hunter? I love Caleb! He was 40 years old when Moses asked him to be one of the 12 spies who scouted the Promised Land. The situation looked grim — there would be giants to defeat — and Caleb didn’t pretend they weren’t there. He acknowledged them; he cooperated with God to adjust his perspective on that reality. He knew that with God, total victory would be possible, and he encouraged the Israelites to go after it! Then he definitely had to face some darkness. He wandered 40 years in the wilderness with everyone else, even though he didn’t do anything wrong. He was one of the faithful minority who had to suffer because of the unfaithful choices of others. Then my heart thrills when we see him again after they finally arrived in Canaan, asking his lifelong friend Joshua for his share of the land. Joshua warned him there may be some battles to fight in the process. Caleb said, in effect, “Don’t worry about me, I may be 85 years old, but I can still fight!” Caleb was scrappy. He’s a hope hunter, for sure. Q: Why is obedience so critical during dark seasons? How does someone know what obedience looks like for them individually? When I mention the essential power of obedience in hunting for hope, the person who is heavy-hearted today might say, “Look, Nika, I don’t have the energy to hunt for hope. I can’t muster the effort to pursue Christ right now. I am doing all I can do just to keep breathing.” I want to encourage you. In James 4:8, God says, “Draw near to Me, and I will draw near to you.” But the picture of this is not one of equity; it’s not “Hey, you take a few steps, and I’ll take a few steps.” No, the instant you lift your foot to take a step, He will cover the entire distance between you before you even finish that first step. The implicit message of the Bible is that God always does more than we do. We make it too hard. His yoke is easy. The way we know our individual step of obedience is to sit quietly, without distraction, and ask Him. Invite Him to make “the next right step” known to you. Don’t expect a long-term life plan or blueprint. Just ask for the next right step. You don’t have to trust your ability to hear God. You just have to trust His ability to communicate. When I go a long period of time without sensing His direction, I immerse myself in Scripture. I cannot expect Him to say something new if I am unwilling to surround myself with what He has already said. Q: What are some of the steps to becoming a hope hunter? Meditating on Romans 8:24 led to a revolutionary discovery for me. It reads, “Hope that is seen is no hope at all. Who hopes for what they already have?” We’ve all heard people say that a situation or a person or something is hopeless. And then they are done. That’s it. We have mistakenly thought we either have hope, or we don’t. But this verse says something completely different. This says that if we see or sense hope, then that isn’t hope at all! It’s counterfeit hope, and that helps no one. So the real hope comes some other way. Apparently, when there is no hope for a situation, that is when we are in the position to find real hope. Who hopes for what they already have? If you don’t have hope, that is time for the real work to begin. We go on the hunt, not for the hope that is seen, but for the hope that is unseen. This is explained in another place, as well. In Romans 5:3–4, we read that we can “glory in our hardship because we know hardship produces perseverance …” Did you hear that? We don’t start with a heart full of hope. No, we have to hunt for it, winding our way from hardship, through perseverance and into character before we get to hope. If we will trust God, our hardship will wind its way to hope. Trust is where it all starts.